PGDHR, MA., B.Ed., M.Com., M.Phil., Ph.D.
Dr. Christopher Thomas is an acclaimed author in English and vernacular books dealing with distinctive subjects that touch human lives. Through his works related to Humanistic Psychology, Social Science, Religions and Interactive themes, he aims at imparting his knowledge and life-experience to the mass with a primary objective of fostering stronger social and religious bonds and harmony within humanity which is now starving for noble relationships. Dr. Christopher Thomas is a veteran writer and a human rights activist. He has been awarded a doctorate in Human Rights by the Intercultural Open University, The Netherlands, a member of League of European Universities validated by Hextlean consortium of learner centered educational environment devoted to social change and research in a global perspective. Apart from his academic potency, many years of his exemplary service in the Middle East countries, along with British, Scandinavian, American and Asian workmates and pals had given him abundant edge for close acquaintance and interpersonal interface. In his writing he draws immensely from his experience and interactions in various socio-cultural backgrounds, and effectively translates these into meaningful subjects of literary compilations. His ultimate aim is to help in preserving and strengthening love and better understanding of the entire humanity irrelevant of ethnic, religious or cultural differences and thus promoting a responsible and respectable human society, present and future. Through his books, the author calls for everybody to be independent in their thoughts and actions and strive to fit well into the world we actually live and live this life in the service and support of the less fortunate. Books authored by him in English include Learning About Life, An Ideal Society, Life a Tribute, Winning Wisdom, Our Human Rights, A Shortcut Through The Bible, and This Incredible Universe. Many of his works have also been translated into regional Indian languages. All his books are reflective of his aptitude and interest in the promotion of general discernment in social conditions relevant to our times. He is also working towards this goal of universal brotherhood, love and peace, and Human Rights within the framework of contemporary societies for the benefit of mankind at large. His books are available in hard copy as well as e-book formats. 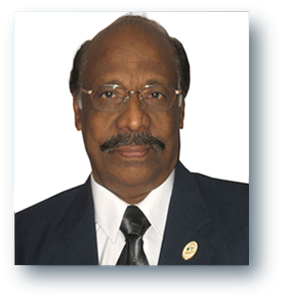 Dr. Christopher Thomas and his wife live in Chennai – India. He is a freelance Management Consultant specializing in Human Rights and Human Resource in addition to making the most of his available time as a Creative Writer on varied subjects.